Over the years Lexis Games has seen some amazing video games being developed and since the early 1990s these video games have been made into movies too. Some were blockbusters, other totally sucked. Below you'll find our top 5 favourite video games that were turned into movies. Also, make sure to visit our list of the worst video games ever. There have been two Hitman movies with the first one releasing back in 2007. The first one was a commercial success but fans of the video game criticized the significant differences in Agent 47s backstory. The movie featured Timothy Olyphant playing the stone-cold assassin. The fight scenes were great and Olga Kurylenko was fierce in the role of a woman escaping sexual imprisonment. The second movie Agent 47 released in 2015 and stared Rupert Friend in the lead role. The action scenes were better and Zachary Quinta as the genetically enhanced villain was great. All in all, a great video game adaptation to the big screen. The first Resident Evil video game was released in 1996 by Capcom and the first game was transformed into a big screen movie in 2002. The video game produced by Bio Hazard Games Publishing has proven to be a massive success. Since the first movie, there have been a number of movies released in this franchise starring Milla Jovovich. These movies don't follow the video game plot, but they do feature the characters from the game. 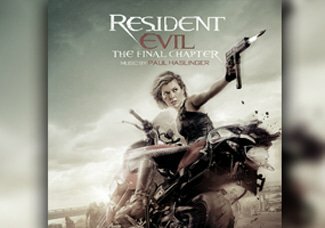 Resident Evil is one of the most successful movies inspired by a video game to date. The first movie isn't the best and Alice only finds out she's a weaponized fighting machine about halfway through the movie. It also lacks in martial-arts it makes up for in the gun fighting scenes. The first movie brought a little more story than the rest of them, but Resident Evil: Extinction released in 2007 is probably the most recognizable to gamers where we see Jovovich turn a sky filled with zombie crows into a massive swirling halo of fire. Released in 1995 this video game was a big hit. The movie couldn't go wrong either as it took a bunch of fighters to another world location to battle for the fate of the world. Seeing the characters such as Scorpion and Sub-Zero come to life of the big screen was amazing and it was a huge success. Combat and fighting games are the gold standards when it comes to video games and as a movie, Mortal Kombat didn't disappoint fans either. In fact, it paved the way for more great video game movies to be developed over the years. The video game is a fantasy horror-themed fighting game and there have been lots of spin-offs including comic book series and a live-action tour. The game has a reputation for bloody violence including its fatalities moves. The action takes place in a fictional universe that consists of eighteen realms and fighters must battle through the realms to win the game. Lara Croft become more than just a movie, it also became branded video slots as well and these are easily available for players to enjoy at some of the top online casinos. 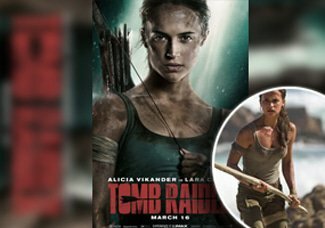 Tomb Raider stared Angelina Jolie and was produced by Director Simon West who was also behind big hit movies like Con Air, The General's Daughter, and The Expendables 2. Perhaps a lot of the success behind Tomb Raider was in the cast and the performances of Angelina Jolie and Daniel Craig. Jolie was memorable in her role and really brought her character to life. It was so successful that a second movie Lara Croft: Cradle of Life was also produced. On top of the movie success, we've also had plenty of branded casino games starting this character too. The world's leading software provider, Microgaming was behind most of them. The video game is an action adventure title by Core Design and was published in 1996 by Eidos Interactive. It follows the exploits of English archaeologist, Lara Croft as she searches for ancient treasures. The movie version stayed true to the video game. Assassin's Creed was developed by Ubisoft and the video game has had more than 20 titles on multiple platforms since its inception. It's a popular choice with gamers and there was a lot of excitement surrounding the 2016 release of the movie of the same name. The action-adventure series saw Michael Fassbender step into the leading role and included other big-name stars such as Marion Cotillard, Charlotte Rampling, Jeremy Irons, Brendan Gleeson, and Michael K. Williams. It was a much-anticipated movie and many hailed it as a big success. The movie sees Cal, Fassbender, travel back in time to the 15th century using revolutionary technology that unlocks genetic memories contained in his DNA. There he lives the experiences of Assassin Aguilar de Nertha. The special effects and stunts are excellent and the movie it brings the video game to life as we see the assassins fight against the templars. The video game has sold over 100 million copies since September 2016 and is one of Ubisoft's best-selling franchises. Now that you know what our top 5 video game movies are you can enjoy all the action on the big screen, play the video games, or try your hand at some of the online casino games that have been created on their storylines.